“Do you want Korean?” The answer’s always yes. Which is how we ended up having Korean for dinner once again, not that I’m complaining! My friend chose the restaurant for the night, having been to Mook Ji Bar before; she couldn’t wait for a second visit! 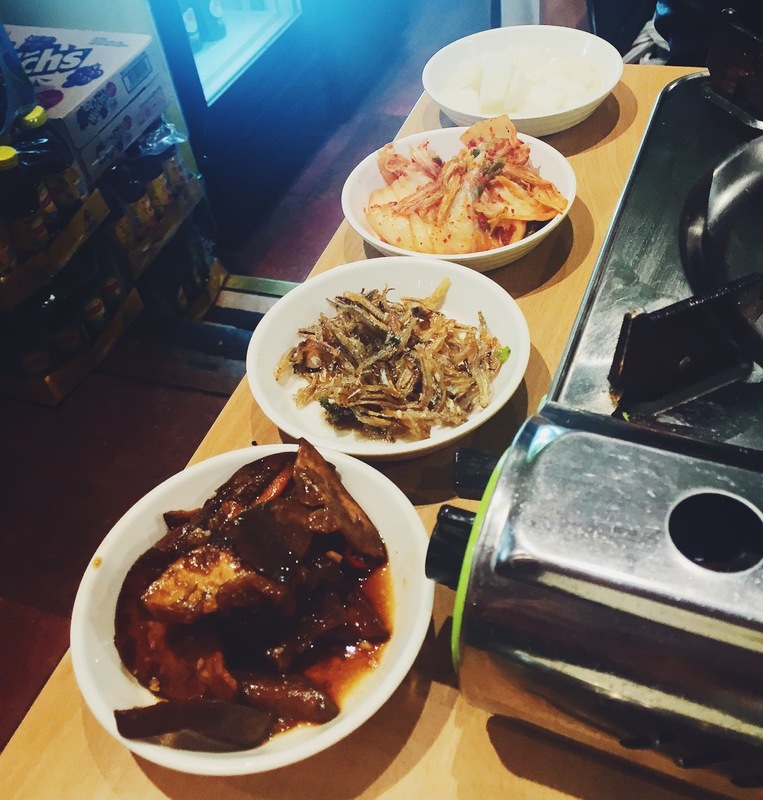 The choices of banchan was a bit more diverse than your usual Korean restaurant. I was so excited to see the eggplant because it’s one of my favourite vegetables, but they were a quite bland despite the amount of sauce, maybe it’ll be better if it was marinated for longer? 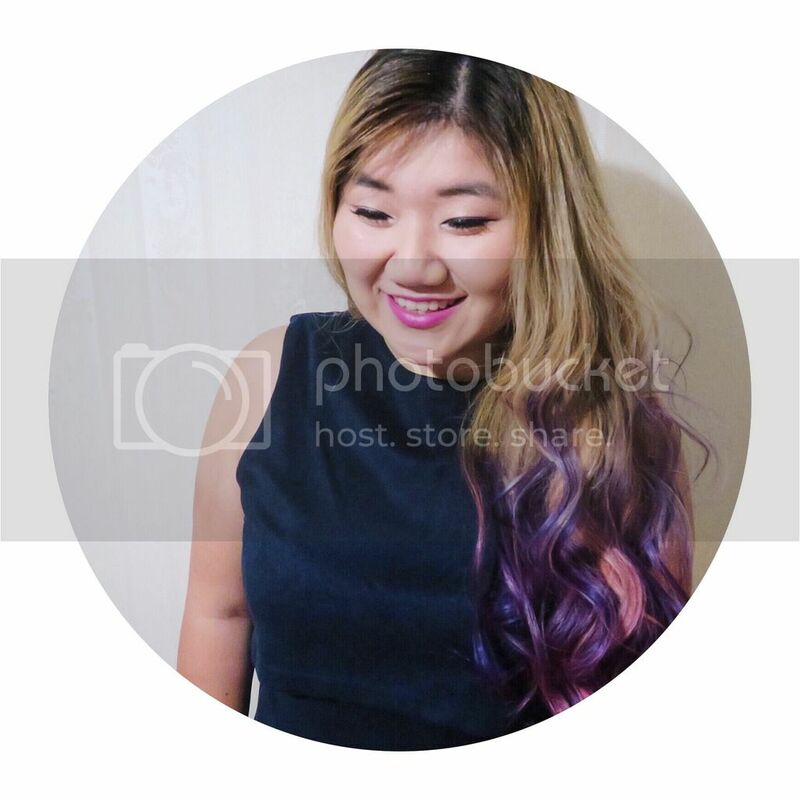 The kimchi was crunchy and spicy, just the way I like them. The anchovies (or white baits maybe?) were lightly fried and very morish. The pickled daikon was another great sour appetiser. When I feel sad, I eat some Korean fried chicken, and everything’s good again. True story. Is this joke too 2010? Any HIMYM fans out there? Help a sister out. 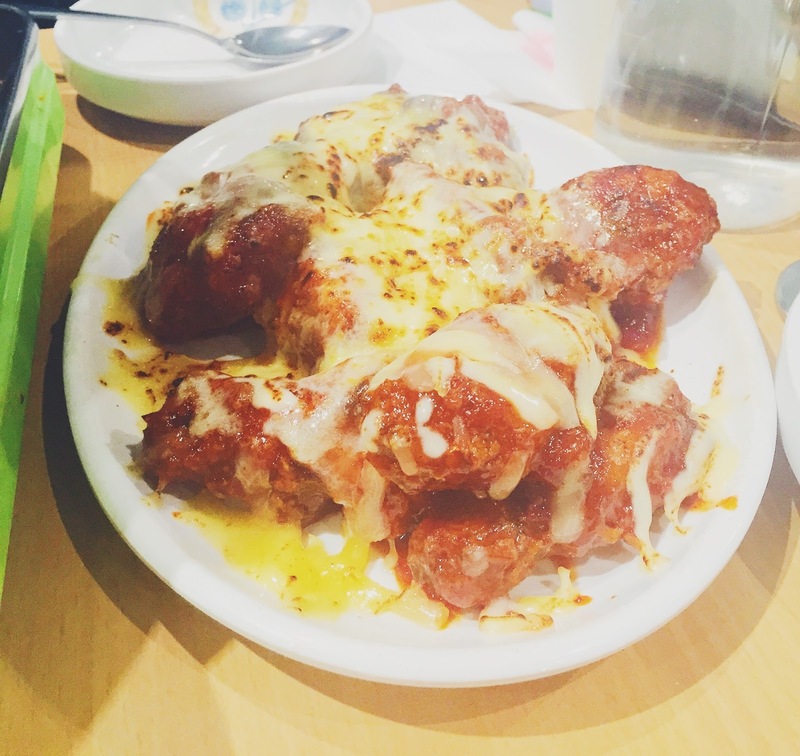 Okay back to the chicken, I love the way that the Koreans fry their chickens first, and then toss it in the sauce, and with the extra cheese on top, what more do I need? 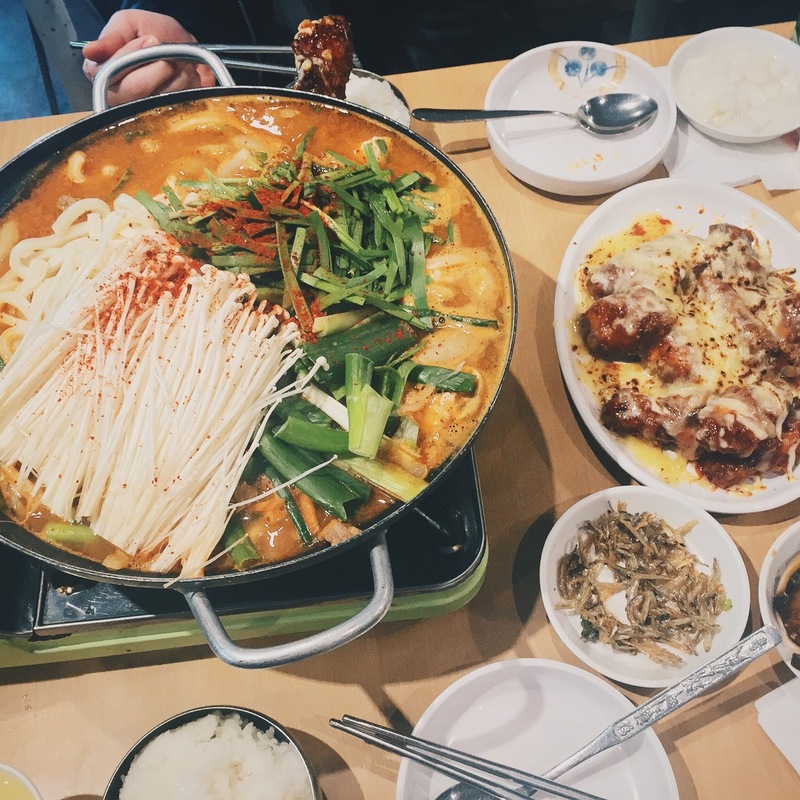 The chicken were fried perfectly, still tender and juicy inside, and the spicy sauce was more on the sweet spicy side of things, so don’t be scared if you can’t handle chilli! Now to the real star of the show – the stew! A huge pot was placed in front of us to simmer away, and at the start, the stock lacked a depth of flavour and I was quite disappointed. However, the longer the stew simmered for, the more flavoursome the soup became, and in the end it had a great unami. 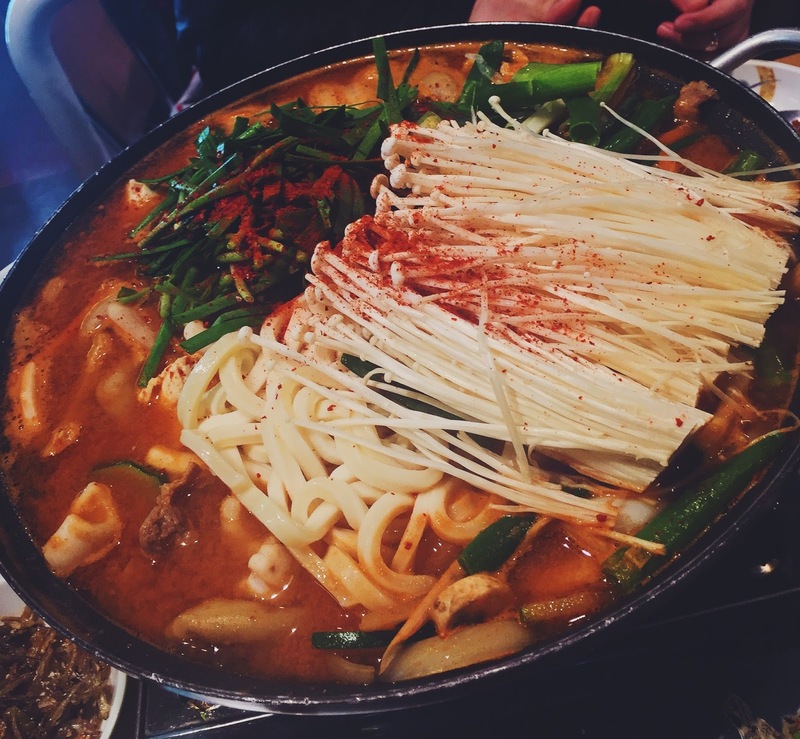 There was a plethora of both meat and vegetables in the stew – chives, mushrooms, pork, bulgogi, spicy octopus, enoki mushrooms, beef intestines – we were full to the brim by the end of meal, but still couldn’t finish everything! This is the perfect Winter warmer in my book. You can’t really tell in the photo above, but there was a line outside waiting to get in Mook Ji Bar when we visited on a Thursday night. We waited maybe roughly around 15 minutes to get a table, but if it was a larger group you’d probably have to wait for a bit longer. Mook Ji Bar has some unusual stew offerings, and I’ll definitely try to come by one more time before Winter finishes, which by the looks of things, won’t be for a while anyways. 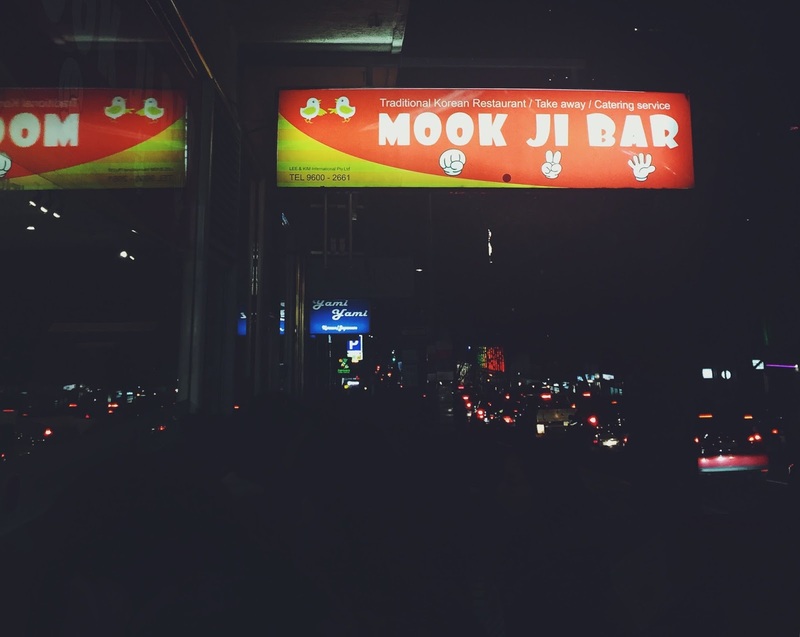 Mook Ji Bar is located on Lonsdale Street, a ten minutes walk from Melbourne Central.